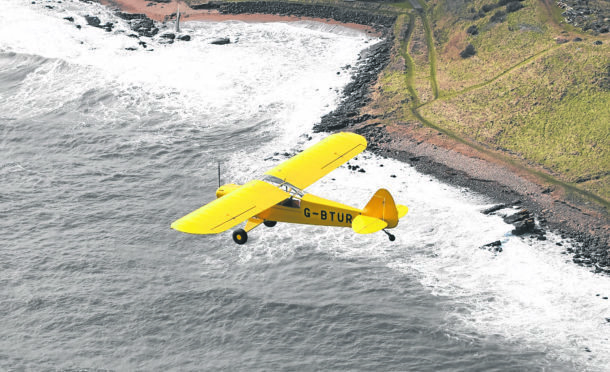 The Moray Firth Partnership is teaming up with the Marine Conservation Society (MCS) and Sky Watch Civil Air Patrol to map the extend of Scotland’s coastal rubbish. They have been used in search and rescue – and now, aerial photographs are to become part of the war against litter. Volunteer pilots and photographers will identify pollution hotspots and litter sinks. SCRAPbook – Scottish Coastal Rubbish Aerial Photography, will see aerial photographs taken and fed into an online scrapbook for volunteers, communities, schools and individuals to direct beach clean up and survey activity. Archie Liggat, Sky Watch chairman, said: “Our pilots get a unique view of the country’s coastline. We fly sorties for many different reasons and are always dismayed by plastic contamination we see floating in our waters or landing on our beaches. The availability of these photos to the public and beach cleaning organisers like MCS will be a game changer in directing volunteers to the parts of the coast that perhaps had not been noticed before. Catherine Gemmell, MCS Scotland conservation officer coordinates the mobilisation of thousands of volunteers around the coastline to clean up beaches and record the litter they find. But she said there are still many miles of coastline that remain uncleaned.